We offer a comprehensive range of dental services to both adult patients and children. At about 30 years old patients usually start paying greater attention to their health and appearance. This is a good time to have your gums and periodontium checked. At about 40 years old, patients tend to seek a new quality in their physical appearance, career and private life. They want to look younger, be happy and boost their confidence. If you belong to this group, visit us to get to know new aesthetic and therapeutic solutions delivered by implantology, veneers or teeth whitening treatment. This age group also comprise a growing number of orthodontic patients. Seniors want to stay fit, both mentally and physically. This group benefits the most from the achievements of prosthetic dentistry and implantoprosthetics. Regardless of whether you are 50 or 75 years old, you can smile at the world with confidence. Remember that good quality of chewing improves the overall quality of life. Professional treatment? 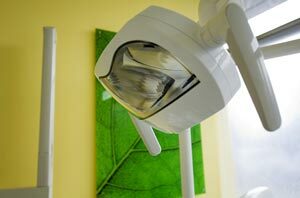 Comprehensive therapy involving bone reconstructions, dental implants or crowns? Nearly anything is possible in contemporary dentistry. There is no age limit to benefit from new technologies.